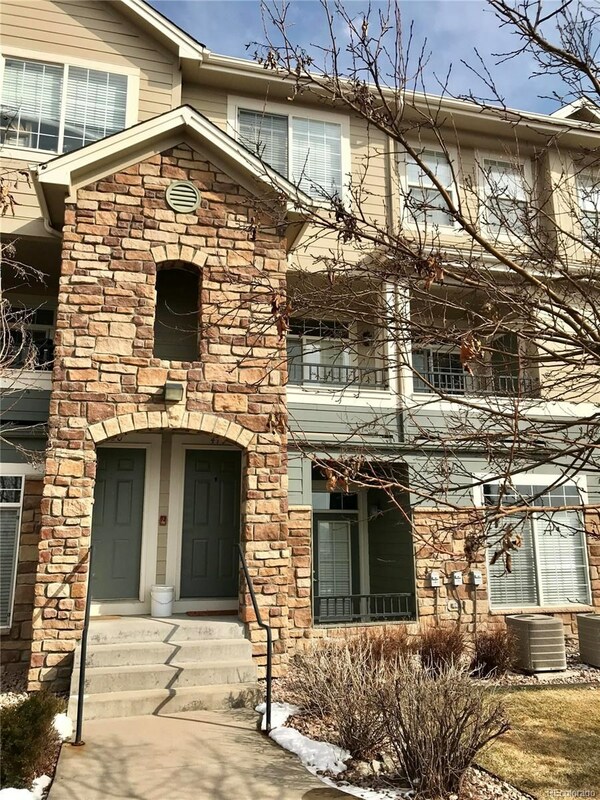 Welcome Home, Gorgeous condo with mountain views! 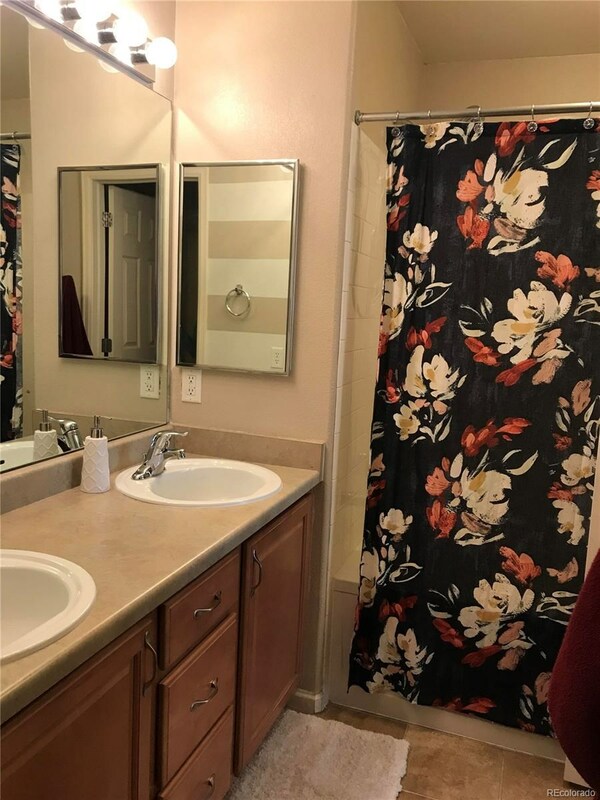 This home is in exceptional condition and very clean. Enjoy a large family room with gas fireplace, large windows and slider to west facing covered balcony with storage room. 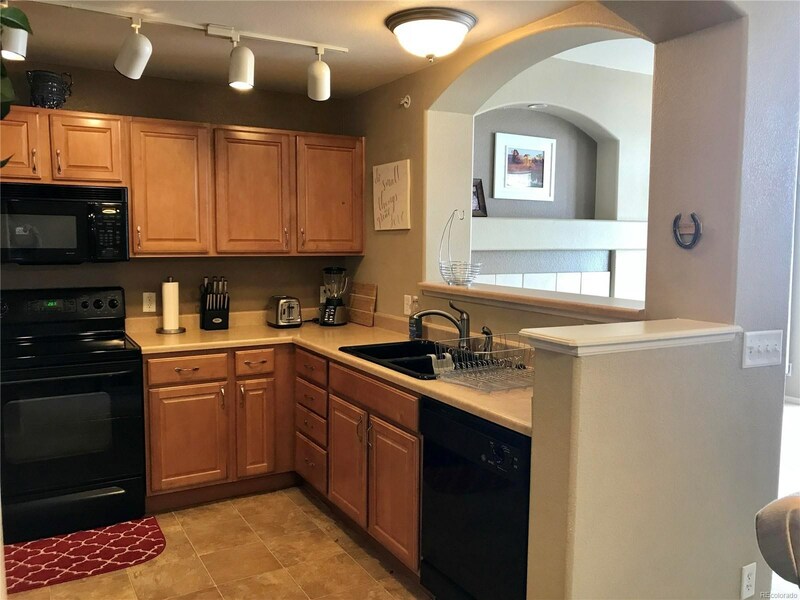 Large kitchen has tons of cabinets, counter space and over-sized pantry and spacious dining area. 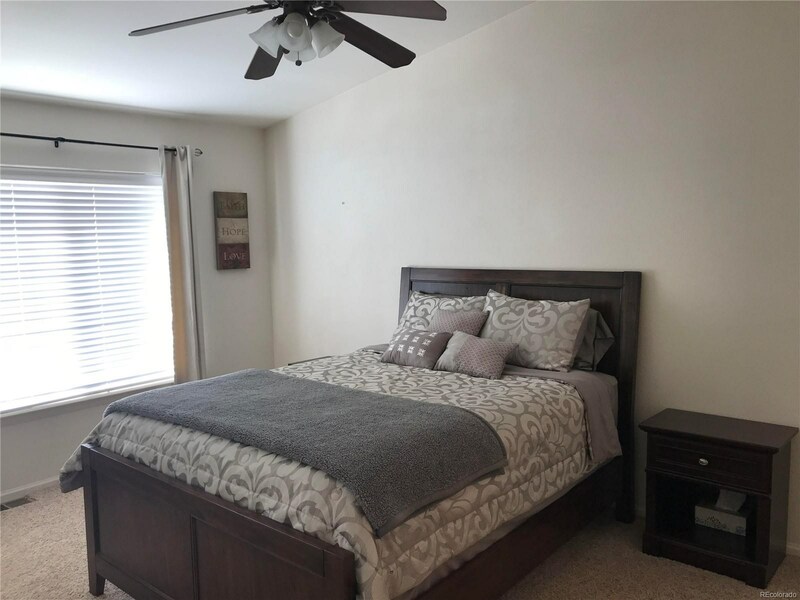 Upstairs features laundry room with full size washer/dryer, large linen closet and large Master with mountain views from both bedroom windows! Vaulted ceilings and his/her closets. 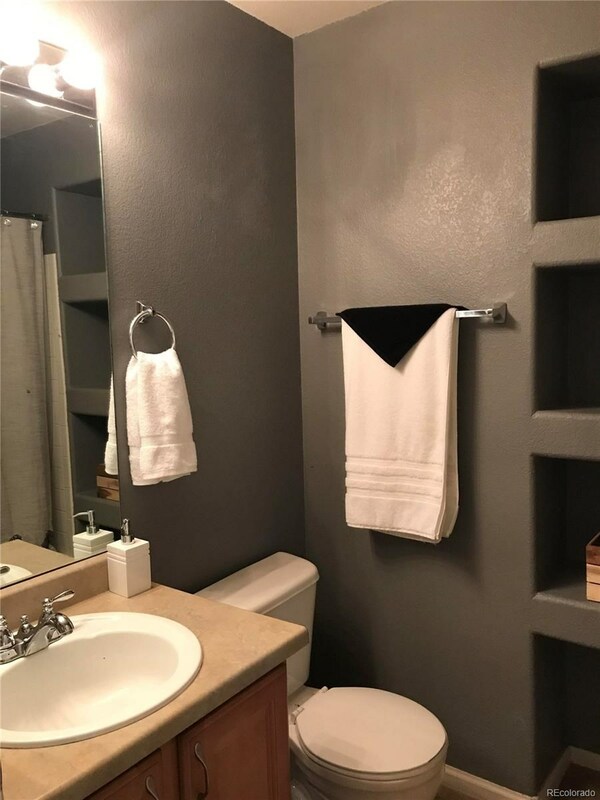 Dual vanity, bathtub and separate room with commode. There is the 2nd bedroom also with gorgeous western exposure, lots of natural sunlight. Second full bath upstairs. 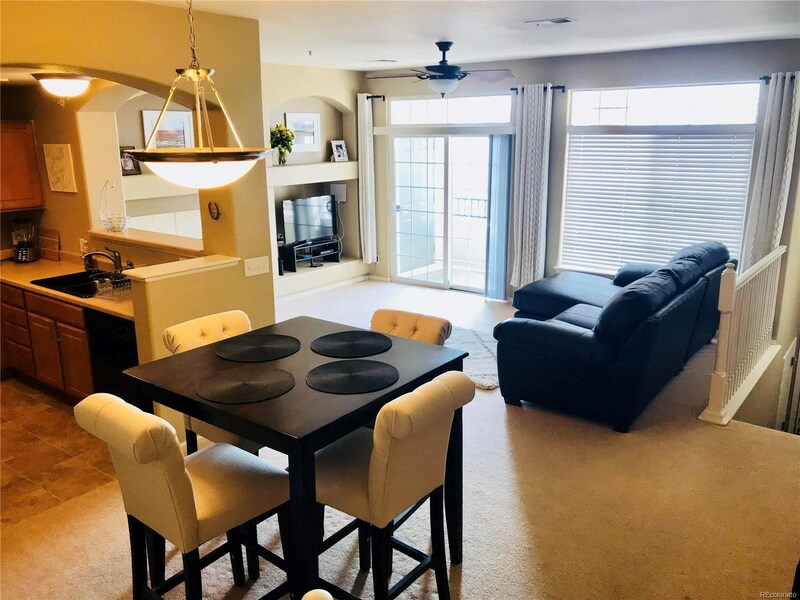 This HOA community features a community pool, exterior hot tub, fitness facility and clubhouse and covers roof, water, trash, snow removal and exterior maintenance. 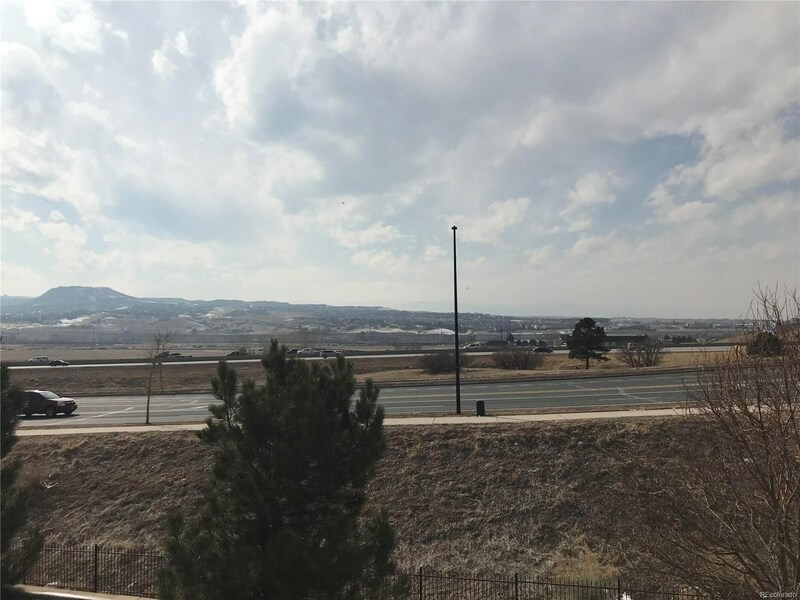 Just across the street from Renaissance Schools and Metzler Park's skate park and ballfields and conveniently located near I-25.